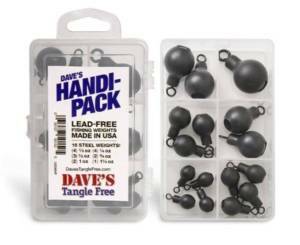 Lead-Free : This alone sets Dave’s Tangle Free apart as a forward thinking, innovative company. States that have outlawed lead as a fishing weight will need high-quality alternatives to lead. 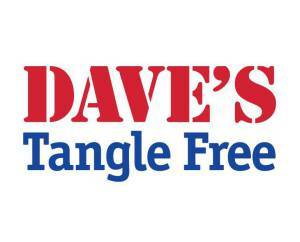 Dave’s Tangle Free fills that need. 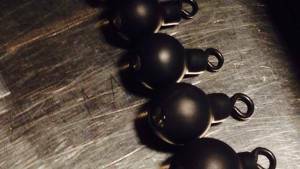 Tangle-resistant : The swivel system in place on these weights allows for “wiggle-room” and movement when caught up. Also, the rubberized outer layer (the core is steel) does not “grab” rocks like lead would. These two factors make for a weight that pulls out of snags more often than lead. We at Fishing Addicts Northwest have seen the benefit of this. Many times when a weight seemed a lost cause snagged-up, they pulled out without breaking the line or losing the weight. This is ultimately a money saver in the end and a relief to the fisherman. Easy-to-Use : Besides the obvious benefits of being tangle resistant, the weights themselves come attached with a top “swivel” piece that is easily attachable to a snap-swivel or tie-able to any line. These weights have totally replaced my previous bobber weights as I prefer a three-way swivel with attachable weight when fishing a sliding float. Also, for those that would attach a “slinky” to a snap swivel, the Dave’s Tangle Free weight works great in place of that. Dave’s Tangle Free will be at the Portland Sportsman Show Feb 5 – 9, 2014. Come visit the booth, the Fishing Addicts will be visiting and hanging out with Dave!